Bothered by your dark gums? Our periodontist can make them pink. Click here for a free, no obligation, consultation with our Periodontist. After our Gum Bleaching procedure. is very proud to offer this smile transforming procedure in the Greater Toronto Area (GTA). Some people are bothered by their dark or spotty gums and would like to make them lighter in colour. 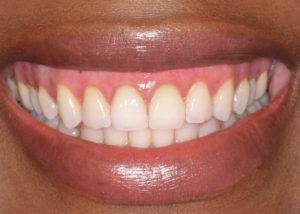 Gum bleaching is referred to by many names including whitening, lightening, and depigmentation. 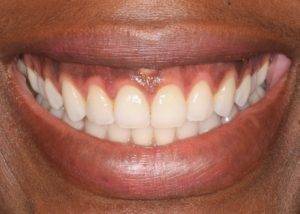 Although the outcome of the procedure looks like the gums have been bleached, no bleach whatsoever is applied to the tissue. A minor surgical procedure is performed and the discoloration is removed.